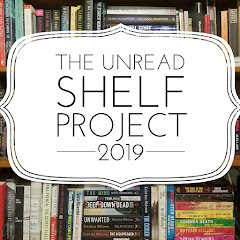 My thoughts: For someone who reads a lot of books in the suspense genre, I'm always looking for that one book that will stand out, that one book that will shake things up. Not that books that don't aren't good, but it's always a breath of fresh air when a book stands out and this one certainly does! So what makes it do so - it's told in reverse, and it's done very well! I will say, I was a bit apprehensive going into this book knowing how it was going to work - how would I keep track of what had happened and how would it all work - with the story being told in reverse? But I needn't have worried. It starts in the present to set everything up, and then starts moving back from Day 15 to Day 1, slowly unraveling what has happened, and you ever so slowly get sucked into what is going on. And ever so slowly the suspense builds. It really is quite clever. Nic has returned to Cooley Ridge because her father is ill. She left ten years ago after her friend, Corinne, disappeared. Now, ten years another girl has gone missing from the town - is it possible the cases are connected? Nic is convinced the cases are connected and is desperate to find out what happened. I loved the way this story is told. It draws you in and you really have to pay attention. Every character has secrets as you get to know them, so you aren't sure who is behind the abductions and you are constantly changing your mind as to who you think might be the guilty party. It is such an addicting read and really gets under your skin the deeper you get into the story. I thoroughly enjoyed this book for it's originality and suspense. It really kept me on my toes all the way through and the ending for sure shocked me - I definitely did not see that coming at all! Audio thoughts: Rebekkah Ross did a great job with this narration. She was able to give each of the characters unique voices and her pacing and tone were spot on. I was not sure how this was book was going to translate in audio - but I shouldn't have worried...it was a great performance and I really enjoyed listening to it. The story came alive on the audio, and while you do really need to pay attention to the days - Day 15, Day 14, etc, - once you get used to it, it really does work. My thoughts: I just adore the Kendra Michaels series that Iris Johansen writes with her son, Roy - Kendra is such a unique character and she continues to prove that nothing and no one will stop her from stopping the bad guys. I loved that not only do we have Kendra involved in another crazy case - a serial killer that keeps changing his/her M.O. - but we have some familiar faces here, too. Jessie Mercado is back to lend a helping hand - she is such a good balance to Kendra and I love that she and Olivia, Kendra's blind friend, end up teaming up at times to keep Kendra safe. And of course, the infamous Special Agent Lynch is back, nicknamed the Puppermaster for his ability to get anyone to do what he wants. It really is a fitting nickname! This book was equal parts chilling and exciting - the case kept me engaged and guessing the entire time with all the twists and turns it took. While I thought I had figured it all out, I was wrong - on the right track, but had the wrong person. I love books that make me think and this one sure did. Audio thoughts: Elisabeth Rodgers continues to be a gem narrating this series - as she is for all of Iris Johansen's series. I love that she is so consistent with the voices of her characters, something I as an avid audiobook listener really appreciate. She really picks up on the characters nuances and quirks, and it comes across in the narration, making the story really come alive. My thoughts: This is my first time reading Kelly Rimmer and what an emotional, tough read it was. I don't know if all Kelly's books take you through such a roller-coaster of emotions as this one did, but WOW...I read this book in a day and was emotionally drained after finishing it. It is a good story, an important one in many ways, but it is also a tough one to read at times, so be warned. Before I go any further with my review, I'm just going to put out there that there are many triggers in this book that might make it hard for some people to read. There's the opioid addiction and pregnancy - a very hot, divisive topic, I know. There's also abuse - both physical and drug use. It's not an easy read at times, but it's written in such a way that you become so invested with the characters such that the characters outshine the hard parts in a way, if that makes sense. 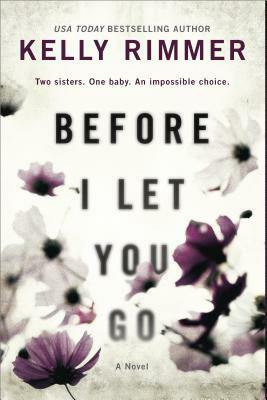 This book highlights just how strong the bond between sisters is, no matter how complicated that relationship might be. If you have a sister, or a close cousin, this book will have you wondering the entire time, what you would do if you were in Lexie's position. And you might even find yourself wavering on the decision as you delve deeper into the book and more of their backstory comes out. I think that is the beauty and complexity of this novel - the way it is told. We have Lexie's chapters told in present time, dealing with everything that is going on here and now. And then we have Annie's chapters, which are told as journal entries and go back in time to fill in what has happened in the girls' past - this really helps not only round out the story, but also explain why Annie turned out the way she did. These letters at times are gut-wrenching, but answer so many questions. This book very effectively highlights addiction on both sides - the addict's side and the family's side. It shows the emotions and the whirlwind that everyone gets caught up in when the addict is using again. But it also shows the turmoil and frustrations that come along when the addict wants to get clean - rehab or no rehab, cold turkey or their own plan, etc. 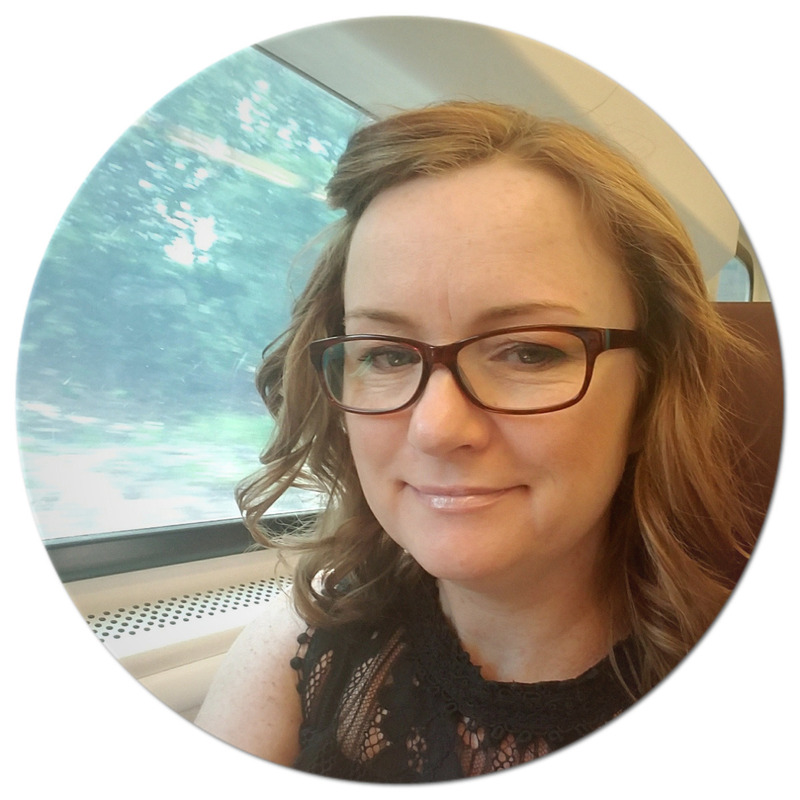 It's not an easy path - on either side - and yet Kelly Rimmer is able to very clearly paint the picture of chaos that addiction brings to everyone's life. This book also shows how far we are willing to go for those we love. You might think that answer is easy, and most times it is, but there comes a point when you might be forced to make that unthinkable, hard decision. This book explores that and so much more. It is a story to be entered into with an open heart and an open mind - for you will have opinions but once you start getting into the meat of the story, you might find yourself rethinking all those preconceived notions. This book evokes so many questions and thoughts as you are reading it, as well as many feelings. It is a very powerful, intense read and one that I certainly will be thinking about for a long time to come. 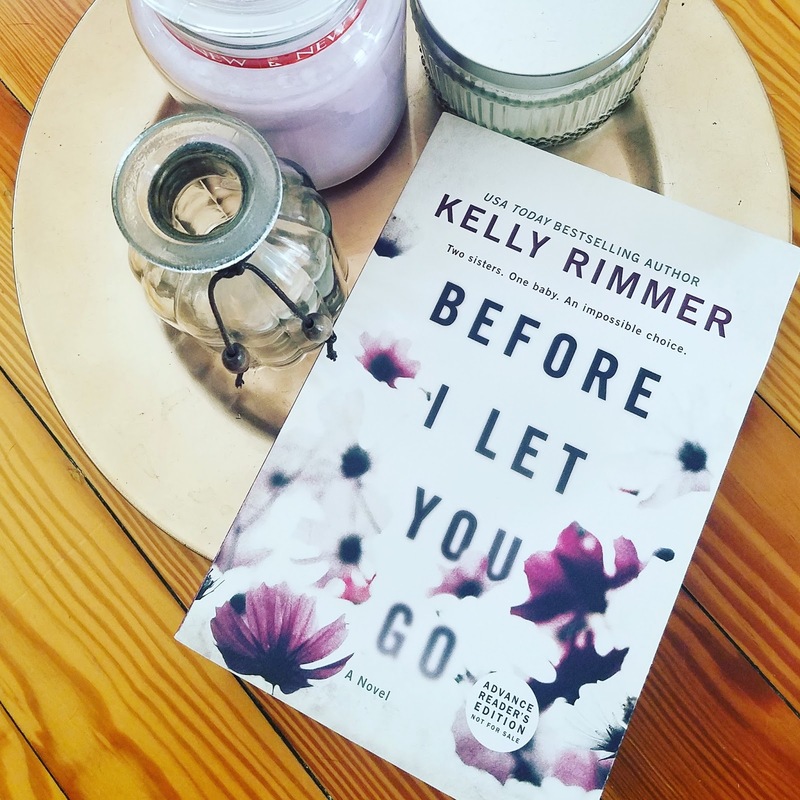 Next week, April 3rd, Kelly Rimmer's latest novel, Before I Let You Go, comes out, and because I ended up with an extra copy, I'm going to give that copy away - and it's a finished copy! I've already read the book - it's amazing!!! - and will be posting my review later on today. You can see what others have to say below and then be sure to enter the giveaway below!!! Thanks to the publicist, one reader will win a finished copy of Before I Let You Go by Kelly Rimmer. To enter the giveaway, please fill out the rafflecopter by April 3rd. This giveaway is open to US residents only and ends April 3rd. My thoughts: This is the second installment in T.R. 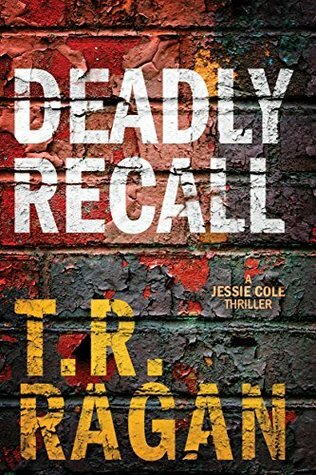 Ragan's Jessie Cole series and I have to say I am really enjoying this series so far. As I noted in my review of the first book of this series, Her Last Day, I haven't read anything by T.R. Ragan before starting this series, but I do have to say, I am slowly becoming a fan! I will start off by saying that while this book would probably do well as a stand-alone as T.R. Ragan does give enough of a summary to catch you up on the characters and what has happened to lead them to where they are, it does give spoilers for that first book. So if you have any plans on reading Her Last Day - read that first! Plus, you just get a better sense of the character development by reading the books in order...I'm a big fan of doing that whenever possible, and I realize that it's not always feasible, but since this is only the second book in the series, it should be easy to do. I love that once again we see Jessie and Ben working together. I liked the dynamics of their teamwork in the first book - a private investigator and a crime reporter who have a little bit of a past that is uncovered in that first book. As they start to come to terms with all that they have uncovered just recently, Jessie is eager to move forward while Ben wants to learn all he can about who he was before his accident. Once again there are multiple plot lines going on, much like the first book, so the story moves at quite a quick pace. There's the father vowing to avenge his daughter's death, a kidnapped baby, Ben looking into his past, and the job Jessie has assigned to Zee, the girl Jessie rescued from in the previous book. Each of these is fascinating and intriguing in their own right and really keeps you engaged, especially as you watch Jessie trying to juggle how she decides which of the four she is going to focus her energies on at any given moment. And on top of that, she has her niece she is still responsible for that is giving her a run for her money at times. I like the way this series is set up. We get the cold cases - the kidnapping case Jessie worked on - but we also get so much more. There's such great character development happening, which as a reader of a lot of series, I find I enjoy the most. And with this series in particular, there is a lot of baggage for our characters. And not everything is let out of the bag all at once. We get a little each time we meet up with them so that we can't wait until the next book. This is especially true in Ben's case this time. I can't wait to see where this book goes in the next installment. We got some answers about Ben and I'm curious to see where that leads us. But I'm also interested to see what's next for Jessie and her team. Does she keep Zee on or was this just a temporary thing? I guess only time will tell! Audio thoughts: I was so happy to see that Kate Rudd had continued narrating this series. I am a big stickler for having consistency, whenever possible, with narrators in series. And I thought Kate did a great job with the voices, using the same voices and personalities as she did in the previous book. Her tone and pacing were great and she infused just the right amount of tension and emotion in her voice as needed. I hope she continues to narrate this series for as long as it goes on! 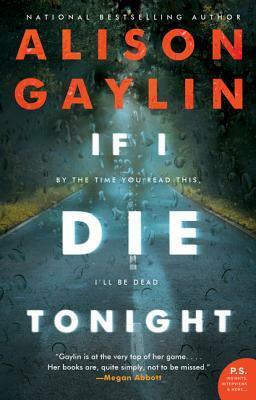 My thoughts: This is my first read by Alison Gaylin and I can tell you it definitely won't be my last. I really enjoyed this book - it kept me guessing as to what was going on and drew me in right from the beginning. I'm a total sucker for a unique, creative beginning to a book and this one absolutely has one hands down! The first line alone had me so intrigued I just couldn't stop reading: "By the time you read this, I'll be dead." What?!? How could you not want to keep reading to find out just what the heck is going on. That prologue hooked me and the rest of the book was equally engaging and captivating and kept me glued to the pages. This book is so tightly woven and cleverly plotted. It's told from multiple points of view, allowing you to get different perspectives about what is going on. And it also gives us a deeper look into some of these characters. And wow...let's just talk about these characters for a moment. They are complex, complicated people, yet they are for the most part, all relatable. They all have secrets that they are trying to keep hidden, but at what cost? This book touches on a lot of themes and gets a bit heavy at times - it runs the gamut from not only cyber-bulling but actual physical bullying, as well as social media and it's impacts. But every once in a while there are little touches of humor thrown in to lighten the mood. This book packs an emotional punch for sure. It's scary to think this could happen in our world, it's heartbreaking and it's full of suspense. 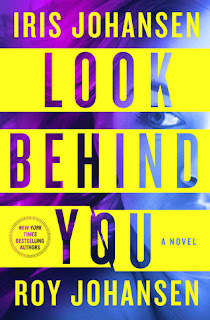 This engrossing family drama is sure to be a good pick for bookclubs that like taking on current issues - social media and all the impacts - on top of everything else this book delves into, and the mystery will keep any suspense-loving reader on their toes until the very end. Alison Gaylin is certainly an author I will be keeping on my radar, for sure! My thoughts: It used to be that when a new James Patterson book came out in one of his series I read, I would drop everything and read it...but not so much anymore. Not because I don't love his books, but because I have so many other books in my stacks to read, and so I have gotten dreadfully behind in all his series. As you can see, this book came out in 2013 and it's been sitting on my shelf for probably that long, but thanks to the #UnReadShelfProject that I am participating in this year, I am making headway with my James Patterson books this year! I really do enjoy the Private series and so I decided I would start with this series first and what a good book to start with! This one took off with a bang and never really let up. I love that there are always more than one case happening that needs investigating, so the book is anything but boring, and I also like that with this one, we get inside the mind of our killer - I love when authors do this. Call it sick, call it whatever, but being inside the mind of a killer really gives a different perspective to the book - even if it's just little snippets here and there. I think what I like best about the International Private books is meeting all the new characters. Here we have Craig Gisto, running the new Private office. 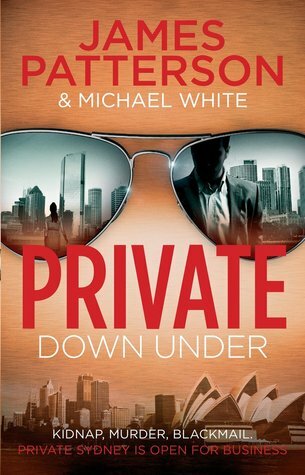 I loved the rivalry between him and the Sydney Police Detective, Mark Talbot - that certainly provided for some tense, heightened moments during the investigations. There's also Darlene the tech guru, Mary, Craig's right-hand woman, and Johnny, the youngest member of the team. They seem like a well-oiled machine, this new team, and I would definitely love to see them working together on more cases. The only problem with meeting these new characters in the International books is that so far we haven't come back to them, so it's not like they become recurring characters or anything. It's not like the core group in the U.S. based Private books - Jack Morgan, and Justine - who incidentally does make an appearance in this book! - and a few others. Those characters we do see over and over again - and I love that, because we really get to know them. With these International Private Offices, it's almost as if they are stand-alones in a sense. We meet the characters, and get to know them as much as we can inside this one book, and that's it, so far. In typical Patterson style, we have the usual short chapters, so that you find yourself flipping through the pages in no time, wanting to keep reading to find out not only what is going to happen next, but also because that next chapter is only a page or two! There are also engaging, dynamic characters that you just want more of and keep you intrigued. All in all, this was a good installment in the Private series and I am looking forward to continuing my quest to make progress in this series! Have you read any in this series, or any other of James Patterson's many series or stand-alone books? There's nothing more dangerous than a familiar face...As funeral mourners stand in silence at Ragmullin cemetery, a deafening cry cuts through the air. Lying crumpled at the bottom of an open grave is the bloodied body of a young woman, and Detective Lottie Parker is called in to investigate. My thoughts: This is the fourth book in Patricia Gibney's Detective Lottie Parker series and I just love this series! I really do think it gets more involved and creepier as the series progresses and I fall more in love with the characters each time. It's one dark, crazy, twisted crime series for sure, but I wouldn't have it any other way! What I loved about this latest installment was that right from the beginning we are pulled into the investigation and immediately start questioning who might be behind it. There are quite a few suspicious individuals that we meet along the way that I found myself constantly wavering back and forth as to whether they were behind everything...I loved this! I also loved that once again not only do we have the police investigation going on, but there is plenty of character development happening. Detective Lottie Parker is one complicated gal - she has a lot on her plate at any one time and things never seem to be smooth sailing for her. Lottie is trying to figure out if there is any room in her life for a relationship and trying to juggle that with work, her children and her mother. She certainly isn't a perfect person - she's constantly struggling with her drinking, she pops pills like there's no tomorrow, she has a hard time holding her tongue to her superiors, and she can be abrasive and snarky - but she's a strong character and I enjoy reading her story!!! This is one intense, chilling read that will have you devouring the pages - and let me tell you, despite it's length, these books are quick reads! Once you start them, you find yourself quickly immersed in the story, and with some of the chapters coming in a page or two, you find yourself flying through them. 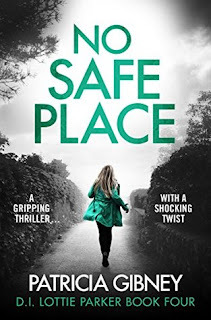 I love that Bookouture lets me read these books ahead of time, but I hate that now I have to wait until Patricia Gibney has written the next book...I want more Detective Lottie Parker!!! 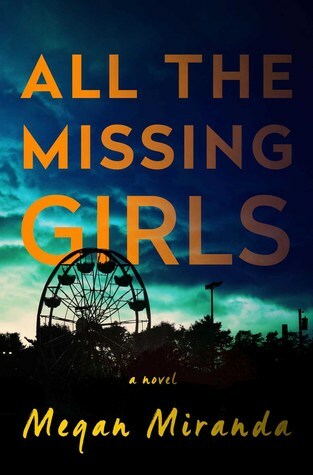 My thoughts: Theresa Driscoll is a new-to-me author but this will certainly not be the last time I pick up a book by her because...WOW, was this an edge-of-your seat, chilling psychological tale from start to finish. I was captivated all the way through and had a hard time putting this one down! I loved the way this story was told - starting in the present where Sophie is on the train getting news of an accident involving her son and his friend. 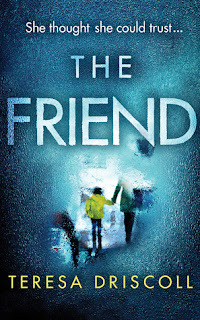 The problem is that both boys are injured and the hospital doesn't know which boy is which as the other adult, Sophie's friend Emma, is also injured. As Emma starts her journey home, hours away, she is stuck with her memories of meeting Emma...and so the book moves back to the past when that friendship began. Doesn't that just intrigue you? And let me tell you, the intrigue doesn't stop there. While most of the story is told from Sophie's point of view, occasionally we get of the other character's view points. This book is full of twists and some quite scary moments that will certainly leave you gasping for breath. The panic and emotions felt throughout this book are palpable. This is what makes the book stand out - it's creepy, yet it's also incredibly intense. This book will play on your emotions and leave you questioning whether this new friendship that Sophie has really is all that it appears to be. And that ending - it certainly surprised me! I definitely did not see that coming at all. This book is one cleverly written, tightly woven tale full of tension and suspense that kept me engaged throughout. I think having Sophie stuck on a train for the majority of the story just ramped up the tension to the extreme - well played, Teresa, well played! Audio thoughts: I have always enjoyed listening to psychological thrillers on audio - they just seem to keep my attention, and this one was no exception! I've listened to Henrietta Meire before, so I knew I had a good narrator and I was right. She did a great job with the voices, and her tone and pacing were just right. In just a little less than 2 weeks, The Secret to Southern Charm, the latest book by Kristy Woodson Harvey comes out and I'm super excited about this one. This is the sequel to her book, Slightly South of Simple - which I loved!!! I'll be reading this book in the coming days and then posting my review on publication day, April 3rd! Because this book is sequel, and you really should read the first book before reading this latest book, and because Kristy Woodson Harvey is so awesome, she is allowing me to give away both books to one lucky reader. See giveaway details below!!! In the meantime, I've got all sorts of good stuff here to get you ready for this latest book, including early praise of the book and some cute videos of Kristy describing her book. 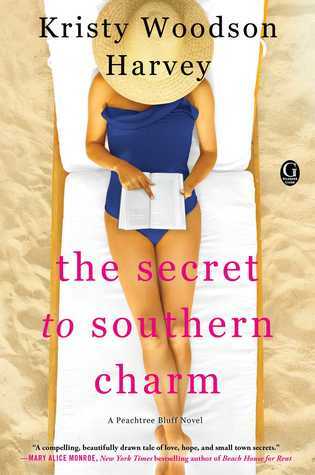 “The Secret to Southern Charm is a compelling, beautifully drawn tale of love, hope, and small town secrets. 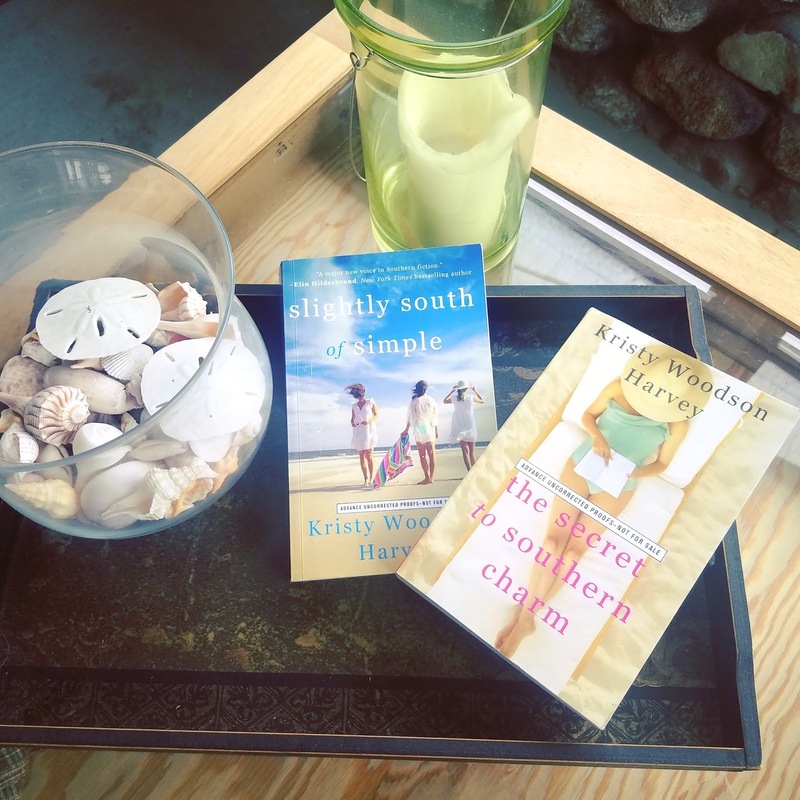 The richly detailed backdrop of a charming coastal town and the struggles and joys of four generations of women solidifies Kristy Woodson Harvey’s spot as a rising star of Southern fiction.”--Mary Alice Monroe, New York Times bestselling author of Beach House for Rent. Videos: Just look at how adorable Kristy Woodson Harvey is as she describes her latest book. ***Warning...if you haven't read the first book, there is a slight spoiler about the ending. Thanks to the fabulous Kristy Woodson Harvey and the publisher, one reader will win both a copy of Slightly South of Simple & The Secret to Southern Charm. To enter the giveaway, please fill out the rafflecopter by March 29th. This giveaway is open to US residents only and ends March 29th.